Pakistan might have signed the China-Pakistan Economic Corridor (CPEC) agreement believing it would be advantageous to the country but it actually subscribed to an unfair deal for which common Pakistanis would eventually suffer, says a leading Amsterdam-based think tank and policy research institution. In its latest report on the CPEC, the European Foundation for South Asian Studies said China has exclusively taken advantage of the fact that Pakistan has managed to isolate itself from the world due to wide allegations of sponsoring terrorism and Beijing might currently act as the ‘Godfather’ assuring Islamabad that it would serve its interests. Yet Beijing was fully aware that this patronising attitude would only turn Pakistan into a colony which would always require China for its day-to-day survival. “As long as Pakistan operates in the shadow of another East India Company and does not realise the importance of protecting its national interests, which in essence are the people of Pakistan, any attempts for national development will transform into national calamity,’’ the report added. 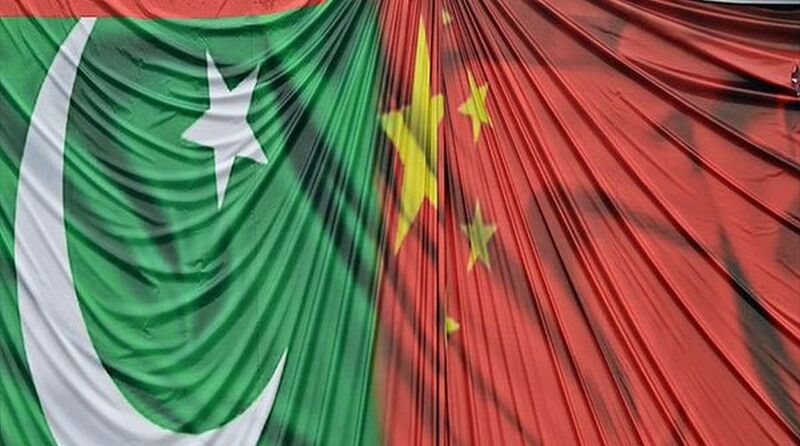 The report said although China advertised Pakistan as its brother and ‘all-weather friend’, the truth was that their ‘friendship’ had always had an embedded enduring imbalance; Pakistan was in China’s debt and the debt would only deepen. The report said the Chinese ‘master-plan’ conceived a picture where the majority of Pakistani socio-economic sectors were deeply penetrated by Chinese companies and Chinese culture; thus, Islamabad had put itself at risk of facing its finances and societal structure experiencing a colossal wreck. “The combination of high upfront tariffs, interest rates and surcharges will complicate Pakistan’s efforts to repay its loans, forcing the State to increase its domestic and export prices, making it difficult to compete with neighbouring and other countries which maintain lower prices,’’ it observed. Pointing out that the borrower would always be servant to the lender, the report said the 15-year CPEC project illuminated how Pakistan voluntarily was becoming progressively subjugated by China and its terms and conditions. Following Beijing’s history of trade relations with African countries, it was evident that China would be very careful about its investments and thereafter quite rigid in receiving its money back. The report said it might be explicitly and profoundly explained on paper how the CPEC was being constructed in order to fulfil the needs and wishes of the Pakistani population, yet the reality greatly differed from what was being said or written. As time would show, Pakistan was at risk of carrying the CPEC on its shoulders as the burden of Atlas — bearing the heavy weight of this shrewd ‘Chinese master-plan’, while Beijing would devour the lush fruits of its venture. 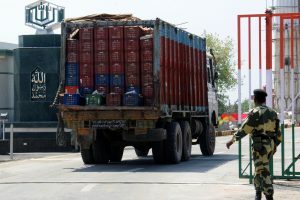 The report noted that in the disputed territory of Gilgit Baltistan (part of Jammu and Kashmir), the local residents were concerned about the land grabbing, demographic shift and environmental pollution, which the CPEC would inflict to the region. Although the Pakistani government claimed that the multi-billion project would bring economic prosperity to the area, the indigenous people remain sceptic since they further perceive the endeavour as a threat to their unique culture, as the majority of them were Shia Muslims, unlike the majority of Pakistanis, who were Sunni Muslims.